Google Docs is an online word processor and one of Google’s free suite of tools, which many students and teachers all over the world now use. My experience with Google Docs is that it makes a very significant contribution to social constructivist learning. Social constructivism is the idea that learners construct their own mental models, and these models develop through collaboration with others. The concept of social constructivism began from the work of psychologists, namely Lev Vygotsky and Jerome Bruner. Vygotsky came up with the idea he referred to as the ‘zone of proximal development’ – the notion that there is an area of activity just a little bit beyond what a child can already do – it is what they can do with help. Bruner gave educators the analogy of ‘scaffolding’ the new skills that the child was learning, by providing support and guidance to get to the next point. Google Docs not only makes these elements of social constructivism possible, but it actively promotes this type of pedagogy. 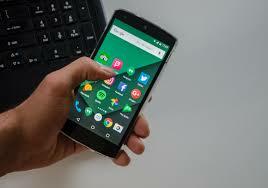 One of the most important benefits of Google Docs is that documents can be shared, which means several users can work on the same document from different computers – synchronously or asynchronously. 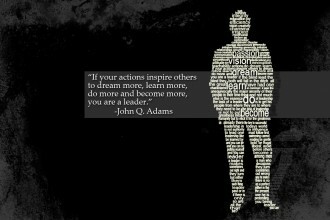 In my experience, this gives a feeling of shared ownership and collaborative effort, helping to increase student motivation. 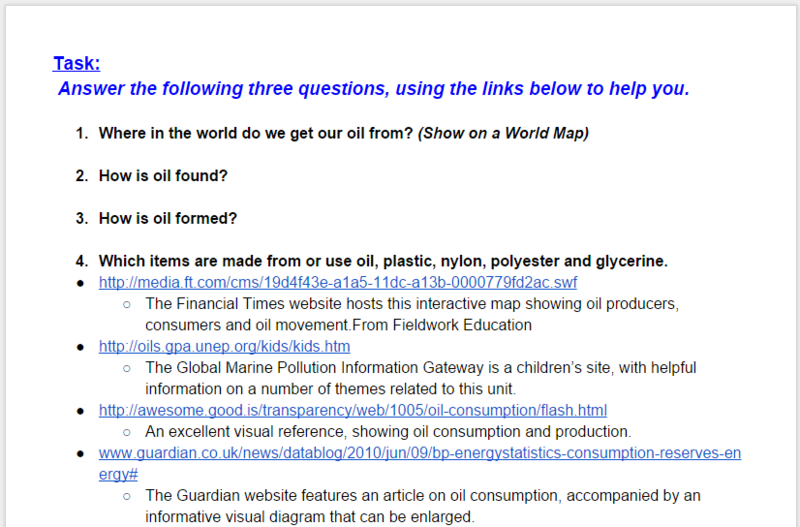 The document below is an example of a 4th grade group project in which groups of three students work as a team to research and answer the following questions about oil. It’s easy to see what each individual student contributes to a document like this because Google Docs assigns every contributor a unique colour. My advice though, would be to keep the groups working on the same document small. You don’t really want too many students working on the same document because it does become difficult to disentangle who has made which changes, and as with any online collaborative tool, it simply becomes more of a challenge to coordinate who should be doing what. In small online working groups, it’s also easier to keep track of different comments made on the work by others. This brings another benefit of Google docs documents, which is the ability to add comments on the side of the work. To insert a comment, highlight the text, then choose Insert a Comment under the Insert Menu. You just highlight some text in the body of the document and the comment will appear on the right side of the page. It’s basically a digital post-it note on the side of your document. Click on any comment and watch the highlighted text in the document change colour to quickly pinpoint the suggested revision. Comments are clever and they disappear after the issue has been addressed by the author so students feel a sense of accomplishment as they work their way through the suggestions of their peers. I would also say that students are more likely to revisit their work if they know someone else will be commenting on it. This feature of comments can be particularly good for documents shared just between a teacher and student – the teacher can use the comments to bring the student’s attention to mistakes, and to facilitate a form of scaffold questions to improve the student’s writing. 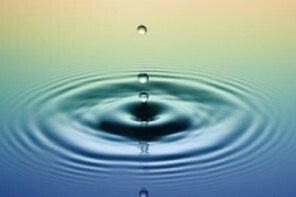 The comments also remove barriers between writers and further creates a sense of class community. 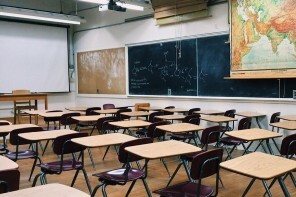 In addition, Docs provide support for collaboration in real time so students and teachers can have a virtual mini-conference about the work in front of them from any location if the timing is right. This can be done by instant messaging chat, in which users shared into the document can chat synchronously about their project. By adding this synchronous communication medium into the tool, it also gives a feeling of social presence, which adds to student engagement. – children being able to recognise the individuality of others. Small group work that is faciliated through the use of Google Docs naturally leads students to pool their ideas, listen to each other and to have respect for each person’s contributions to the work of the group. When students are at the planning stage of an assignment, they can use the Word Art feature (as shown below) to make mind maps and do collaborative brainstorming. The asynchronous nature of digital brainstorming sessions provides all students with an opportunity to contribute, unlike traditional brainstorming sessions which encourage contributions from the “quick thinkers” in the room. 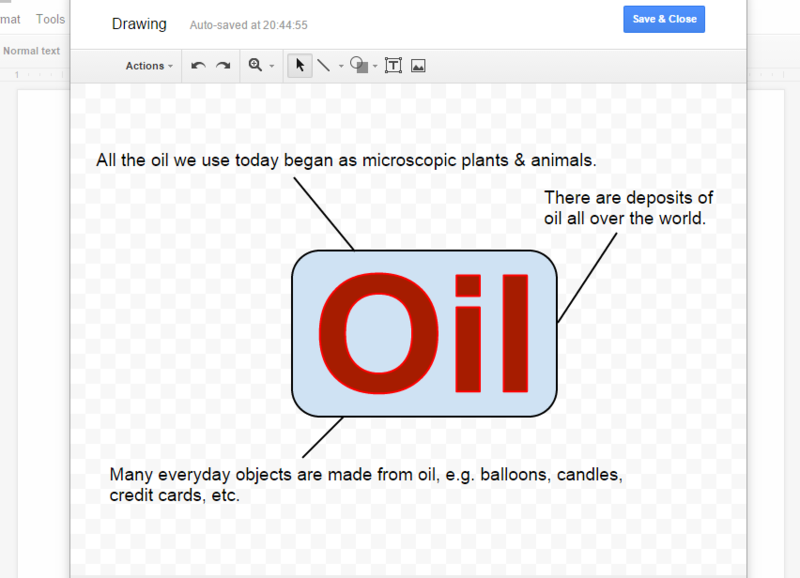 Students can use shapes, arrows, text, and imported images to build a visual map for any task. Again, the revision history uses colours to highlight and track changes to the Google Doc, making it easy to see what each student has contributed to the big picture. Another big advantage for students and teachers is the use of templates. You can provide students with a starting point for digital writing by creating templates. 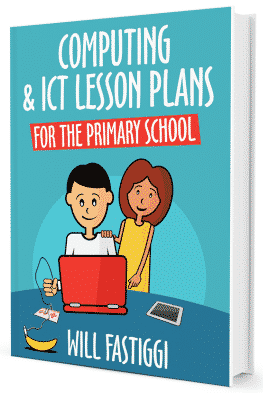 This saves time and guides the learning by giving students a consistent page format which can include links, images and directions, all helping to jump start the learning. All you have to do is just create a Google Doc and then save it as a template. Students can pick up a copy of a template and instantly store it in their own list of Google Docs. 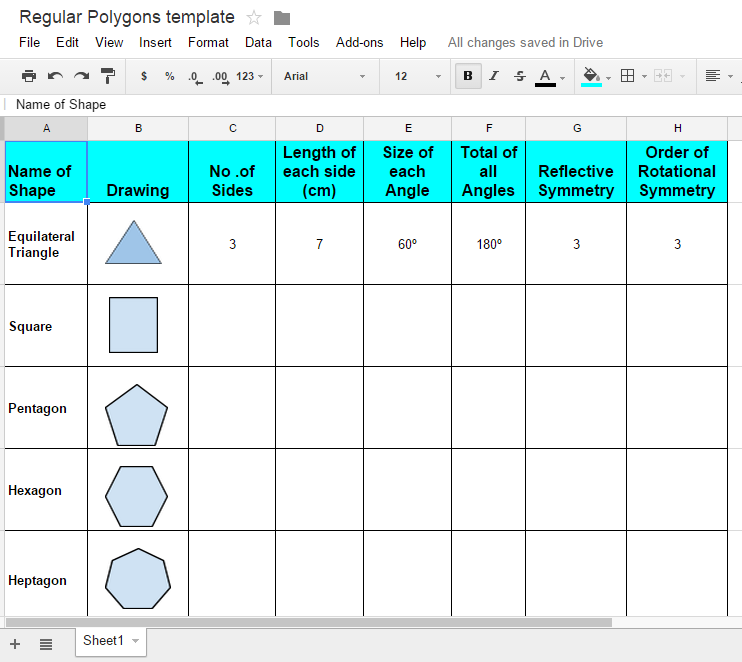 The Google Sheet below is a brilliant example of a template for a maths project in which students need to complete the information about regular polygons. As you would expect for a word processing tool, there is a built in smart spell-checking system that identifies spelling errors as you type. There is also a context-sensitive grammar checker, which can make appropriate suggestions for corrections. While Word uses color coding to make distinctions between spelling and grammar errors, Google sticks with one colour (a red wiggly line), but the suggestion box offers smart and appropriate suggestions. There is also a built-in dictionary and thesaurus, allowing learners to look up words without leaving the document. Finally, think carefully through the levels of sharing – what roles do you want your students to have for specific documents and folders? When should your students be editors, viewers, or commenters?